The big blog host debate these days: Bluehost vs Siteground… what’s the best hosting company for beginner (or intermediate) bloggers? There was no Bluehost vs Siteground debate when I started my blog on Bluehost. And for the first year I blogged, I recommended hosting with Bluehost to my readers. And I personally never thought I had any real issues with Bluehost. Their customer service had been ok and my site was only down three times in one year. (I figured that’s bound to happen once in a while.) Plus they seemed to be the cheapest option out there when I started my blog. And everyone was recommending them. So why on earth would I switch hosting companies? I contacted Bluehost and they said I would have to upgrade to a VPS service to gain any speed. I had been hearing a bunch of anti-Bluehost rumblings in blogging forums and decided to at least look into other hosts before I gave more money to Bluehost. Because isn’t it true that you get what you pay for? 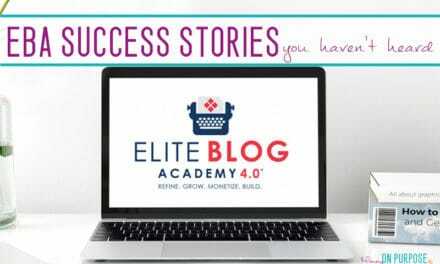 I had started my blog for $3.95 / month – right? That’s the price I see advertised EVERYWHERE for Bluehost, and I figured that’s what I had paid. BUT, it turns out, I had paid $5.45/month… because to get the price of $3.95 you need to purchase 36 months of hosting off the bat. And who wants to commit to three years of hosting before they know if they even LIKE the host?! Another super awesome feature that GrowBig and GoGeek plans have is that if anything with your site goes wrong, data is lost for some reason, you have access to 30 backup copies and free restore done by SiteGround technicians (while with the StartUp plan, the restore service is paid). Once I switched hosts my site speed improved DRASTICALLY, my ad income increase, and my bounce rate decreased. My site has not been down ONE TIME since I switched. Siteground made the swap easy for me, walking me through it step by step via chat. SO what is the host switching experience like? To be honest, I was terrified of the actual switch. I am the least technical person I know, and I was terrified that something would break and my blog would be lost forever. And, I don’t mean to sound like I’m complaining here, but I have VERY limited computer time… so I didn’t want to sign up for something that was going to require hours worth of my efforts. You can imagine how thrilled I was when I found out that Siteground offers 1 site migration for free with their GrowBig and GoGeek plan; and that a normal migration takes about 24 hours (which is a very short period compared to other hosts (e.g. A2 offers free migration but it takes up to 30 days; and Bluehost offers paid migration only, at USD 149.99 per site). BUT the BEST part is that the WHOLE PROCESS IS DONE BY SITEGROUND TECHNICIANS and there is NO downtown! Hallelujah! I did have to point my own nameservers to Siteground, (which means I had to go into my Bluehost account and copy and paste a code from Siteground) because I wasn’t moving the PRIMARY domain on my account over, just a subdomain. If you have only one domain, you probably won’t even have to do this. But that was very straightforward and the Siteground chat walked me through it. All in all, the process was practically painless and 100% worth it. I believe that where there’s smoke, there’s fire. You’d be hard pressed these days to find a website developer who would recommend Bluehost anymore. This is because Bluehost has been bought out by a big umbrella company called EIG (and if you google ’em – you will find that they just aren’t that great at things). I am a member of a few blogging Facebook groups and there is A LOT of chatter about the poor service, the poor load time and other issues that people are running into with Bluehost. 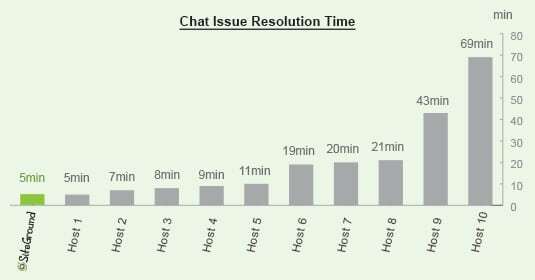 Bluehost vs Siteground is a HUGE topic of conversation. 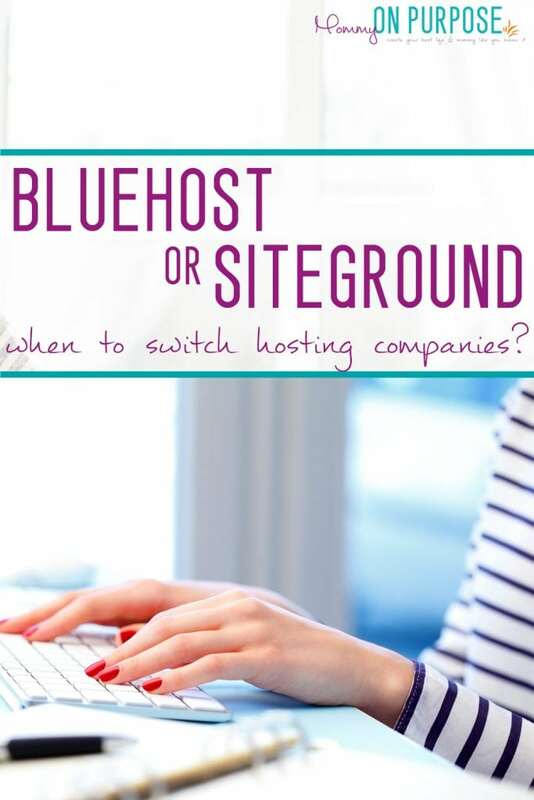 Recently, I polled my readers and asked – where they hosted with Bluehost? And if they were… how was their experience? The majority of the responses I got weren’t positive unfortunately. 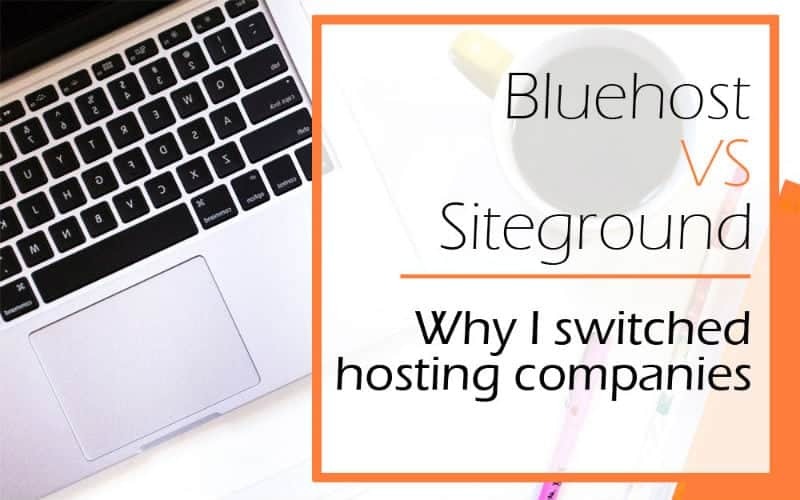 Recently we (in the blog groups) had a discussion about why SO many bloggers are still recommending Bluehost, if it’s true that things are getting rough with them. As far as I can tell? It comes down to the dollars to be made. I would feel terrible if people started their blogs on Bluehost based on my recommendation and then had to go through the headache of switching hosting companies in the future. 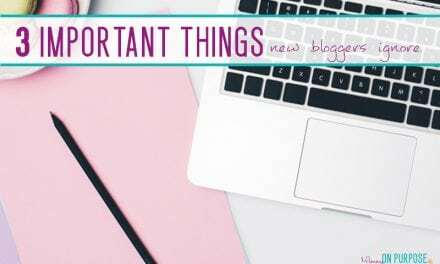 I have updated my tutorial on how to start a blog for profit and my resource page to reflect my new hosting company, and I feel good about my decision, even if I’ll make less money. Carly, thank you for your honesty. I started EBA in February and it was in that FB Group where I was first alarmed at the news and discussions about Bluehost. The entire time I thought I’d be signing up with Bluehost, and I was so confused why so many bloggers would recommend them if their service wasn’t that great. Then it was clarified (The commission) and it made a bit more sense. It made me sad though, but reading this is so refreshing! It’s rare to find people like you who will do the right thing, who won’t just go after the money. I want to be honest and trustworthy with my readers in the same way. When I setup my next website, I decided to give Bluehost a try and this was the reasoning behind it. It was the ONLY hosting that WordPress endorsed. That is why everyone was raving over Bluehost. No doubt commissions are incentives but the proof was that WordPress was saying “Hey, this is what will make life easier with WordPress”. To this day they still recommend Bluehost, but they have also added DreamHost & SiteGround. The problem for the novice building their own website and judging a host, but not knowing how the code effects things, themes, etc… you could very well be blaming the host for things that had nothing to do with them. I’ve seen people complain about BlueHost & SiteGround. With that being said. I say take the author’s advice and go with SiteGround because apparently they do have good reviews. However, be cautious that it will be a fix to all if you run into a problem and don’t blame them. Instead ask for a web developer to look into the problem first. Btw, I’m all for supporting review articles. The time that author’s put into them, they deserve a commission. If you want to support her and signup, clear your cache and then click on her link to SiteGround. Good job Carly. YES! I am getting commission, but I 100% stand behind this recommendation for hosting. Thank you for sharing this Tinelle, very interesting! This is interested. I have had a good experience with Bluehost so far – they have totally fixed my site after I broke it twice. But as I grow, I will probably consider switching to Siteground too as Ive heard great things. Thanks for your blogs. I’m working on starting up and these are SO helpful! May I ask, in one of your links that you posted you said “With Siteground you’d actually pay LESS for a 12 month subscription than you would with Bluehost. $4.95/month. (Or $3.95 / month for 12 months if you use this link! )” is this $3.95 a deal that has timed out, or is this still available? Thanks so much for this information! 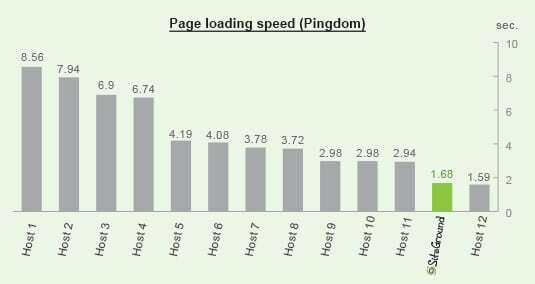 I am currently with Godaddy and have a very high bounce rate and I think it has a lot to do with the loading speed of my site. (I also can’t advertise Godaddy and make a profit off of it). But I’ve heard a lot of great things about SiteGround and will definitely think about switching over soon! I don’t know if I should wait until my year ends with Godaddy or not. But either way, the switch will definitely happen. Thanks for the advice! Godaddy is the same as bluehost! Both are owned by EIG, along with MANY others. You would love siteground! Congratulations on your professional work. You really help me to decide ( finally, it’s near 6 months thinking) about a correct and professional Hosting company. We go definitely for SiteGround as our Hosting company. I believe key advantages of Siteground over bluehost and the others is the custom server set up and the instant assistance. I am glad to say that yes they have best 24/7 customer support as well as excellent WordPress hosting features. I have got my website setup in no time and all the hurdles manage by Sitegound’s very technical team. Hi Carly! Thank you for this thorough post on why you switched. I have SiteGround hosting as well and really like it so far. I had a question for you please about signing up for being an affiliate for them. I was going to and then I see that it requires my social security number and entity type? I was wondering if you had to give them that information as well? 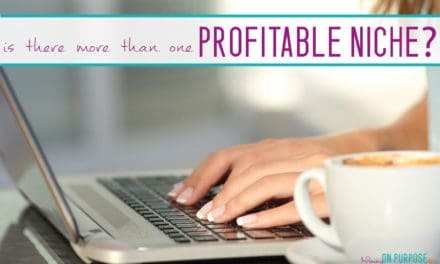 I haven’t seen that talked about really and it made me a bit cautious – so I wanted to double check with someone who is already an affiliate for them and how it was when you signed up. Thank you! This was just what I was looking for! Thanks for your honest review and details of why. So helpful! I knew there was a reason why I didn’t commit to BlueHost the three times I went to sign up on their site. Decision made! Any tips of what is really needed when buying into Siteground? I am so glad you have decided to go with Siteground! They are an excellent host for when you are starting out! I have heard that their middle plan is the best deal right now – but you may not necessarily need it yet. I would recommend sticking with what you need and updating later. The rates are prorated and upgrading your plan is not difficult. Also – purchase as much time as you can on the promotional plan, as the price increases quite a bit after that time period. Good luck!! I currently have BlueHost. Is it hard to switch? And does it cost to switch? I’ve already spent 150$$$ between that and themes? I’m so torn/. My biggest issue with them is importing affiliates. Antoinette, I would recommend reaching out to them and checking. I think Bluehost only offers a refund for the first month (it could be a bit more) but after that, you may not be able to get a refund. Switching is usually not that hard, as they can do everything for you. There tend to be technical hiccups with a lot of things, but generally, it shouldn’t be too bad.